Your prefrontal cortex is a blessing and a curse. Located under your forehead, mankind’s hugely developed prefrontal cortex enables creativity, foresight and strategy. However, that same prefrontal cortex is responsible for those nagging thoughts that keep you up at night – the “what if” scenarios that become increasingly terrifying as their exigency approaches. While these imaginary situations where you fail the test and lose the girl – or boy, depending on your anatomical preference – may not ever play out, the long term effects on your body from these thoughts actually can. When the brain invents a stressful situation (or replays something horrific that just happened), the sympathetic nervous system engages in very real fight-or-flight responses. These adrenaline pumping, heart-racing reactions are great at making you jump away from a moving car, but they can have incredibly detrimental effects in the long run. Our bodies are incapable of sustaining the stress we are capable of providing it. Stress can eventually lead to organ failure and death in mysterious and insidious ways. Whether an increased risk for heart attack, coronary heart disease, arrhythmias or even just “sudden death,” you can, quite literally, stress yourself to death. Hopefully you’re still reading, because there is hope. Now, meditation has long been frowned upon by Western culture as some sort of Eastern cultish religious nonsense. That being said, quieting your thoughts has nothing to do with religion, chi, Zen or anything else on a physiological level (and I mean that with absolutely no ill-words towards religions of any kind). It has come to light in recent years that meditation is one of the healthiest things you can do for your brain, and subsequently, the rest of your body. This is coming from real neuroscientists doing real research on real brains – this is not the hippie stuff your parents warned you about. The Laboratory for Affective Neuroscience at the University of Wisconsin produced hard data that short amounts of mindfulness meditation lead to increased influenza resistance. Akira Kasamatsu, M.D., went as far as monitoring the electronic activity of 48 priests and disciples of Zen Buddhism, a religious sect known for meditation. Their brain activity showed increased levels of what are known as alpha waves. These waves are heavily associated with being relaxed. These long-time practitioners of meditation were literally able to tune their brains to a relaxed wavelength, regardless of how stressful a situation may be. Imagine being able to make stress go away with a conscious decision – these individuals don’t have to imagine that power. They already have it. Countless scholarly articles reinforce this sentiment, explaining how mindful meditation can be used to manage chronic pain and reign in anxiety disorders. To approach “mindfulness” from ground zero can seem difficult. The whole point of the exercise is to quiet the mind – something I struggle with on a daily basis. To begin, you need a mental focal point. Some people like to use the word “mantra,” but if that seems hokey, call it a focal point. Sometimes I just use the word “focus” as a constant reminder of what I’m trying to do. Relax every muscle in your body. Sit upright so you don’t fall asleep. See if you can sit there and do nothing but think less and less for 10 minutes. Use a timer on your phone so you don’t feel the need to peek at the time. It takes practice, but even if you don’t get it your first time, you’ll be amazed how good quiet time feels. It’s the kind of habit that takes little time and less planning. Do it in the library if you’re stressed and until you fall asleep when you’re antsy. It’s your brain; learn to make it work for you. Andrew Fleming is a junior in neuroscience. He can be reached at aflemin8@utk.edu. Instead of reacting to situations with our old instincts, we can learn to respond thoughtfully and creatively. When we practice observing our own reactions, we can better understand the nature of our old instinctual patterns. After allowing our initial, instinctive reaction to pass by, we then have more time to choose how to respond with intention and care. The experience of being in a meditative state is one of calmness, peacefulness and a sense of well-being. After meditating, this sense of well-being will continue for a half a day (or until the next stressful event). Research has shown that 20 minutes of meditation can lower cortisol stress hormone levels for 12 hours. This helps us to understand why meditation traditions around the world encourage meditation twice a day! After meditating regularly, you will find that you are able to regain your calm more and more easily after a stressful event. You will also find that the feeling of peace gives your creative mind more space to find solutions to problems and this leads to less worry because you begin to trust in your abilities more and more. Watching our thoughts and feelings as children on the playground of our imagination. Know as children know, that these thoughts and feelings are temporary. Know that you are free to leave the playground game sat any time. Watch as the spinning wheels and grinding gears slow to a stop. Feel the peaceful stillness of a mind unwound. Karah Pino, MAcOM is the creator and instructor of Unwind your Mind, a meditation course designed to help you discover for yourself the benefits of meditation and choose the style best suited to you. The Center for Mind and Brain is one of three overlapping research centers at UC Davis that bring together researchers from the School of Medicine, College of Biological Sciences, and College of Letters and Science to work on the function of the brain. Founded in 2002, the Center for Mind and Brain studies cognition, vision, language, meditation and music. The Center for Neuroscience, established in 1990, investigates brain structure, memory, and the genes and molecules involved in conditions such as schizophrenia and depression. The MIND Institute was founded in 1998 with the support of six local families, five of whom have children with autism. It works with autistic children and their families, and on fragile X syndrome, Tourette’s syndrome and other neurodevelopmental disorders. Mindfulness from meditation associated with lower stress hormone :: UC Davis News & Information. “Filling that gap was one goal of a new January Term course at UVA: ‘Mindfulness as a Tool for Learning and Living,’ taught by Susanna Williams, an instructor at the Mindfulness Center in the School of Medicine, and Lynne Crotts, a doctoral student at the Curry School of Education, which offered the course. The course offered an ‘authentic exploration of unexamined thoughts and behaviors that are obstacles to students’ effectiveness in learning,’ as the syllabus explains. Along with reading and writing assignments, the students learned a wide range of contemplative exercises that cultivate emotional balance, concentration and the ability to cope with stress, Crotts said. Mindfulness is ‘paying attention, in the moment, without judgment,’ she explained. Over the 10 days of the course, students heard from almost a dozen guest speakers who taught the class a variety of contemplative practices, including yoga, nia and t’ai chi. There is a growing movement to teach mindfulness and growing student interest in the topic, Williams said. (UVA’s new Contemplative Sciences Center, launched in April, will offer a 180-person class this spring on ‘Buddhist Meditation and Modernity’ that will cover mindfulness. There are 50 students on the waitlist.) Interest is being spurred in part by research in recent years that is validating the connections between stress and learning. 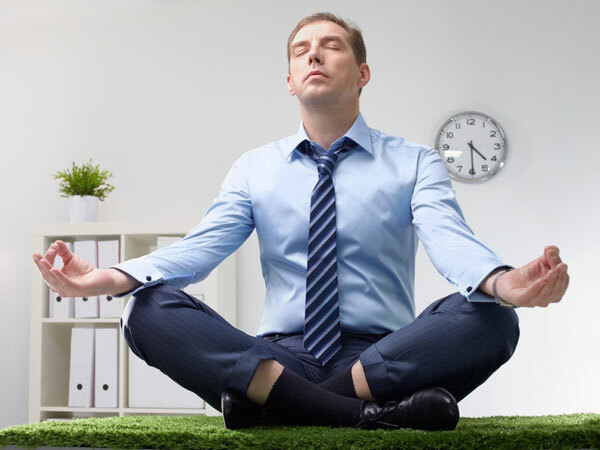 via Colleges Begin To Offer Meditation 101 « Annie Murphy Paul. While interest in mindfulness meditation as a stress reliever has grown through the years, there’s been little evidence to support that it helps those suffering from chronic inflammation conditions in which psychological stress plays a major role. The study by UW neuroscientists with the Center for Investigating Healthy Minds at the Waisman Center was the first designed to control for other therapeutic mechanisms, such as supportive social interaction, expert instruction or learning new skills, according to a UW news release. “The mindfulness-based approach to stress reduction may offer a lower-cost alternative or complement to standard treatment, and it can be practiced easily by patients in their own homes, whenever they need,” Rosenkranz said. via UW study shows benefits of mindfulness meditation for inflammation.